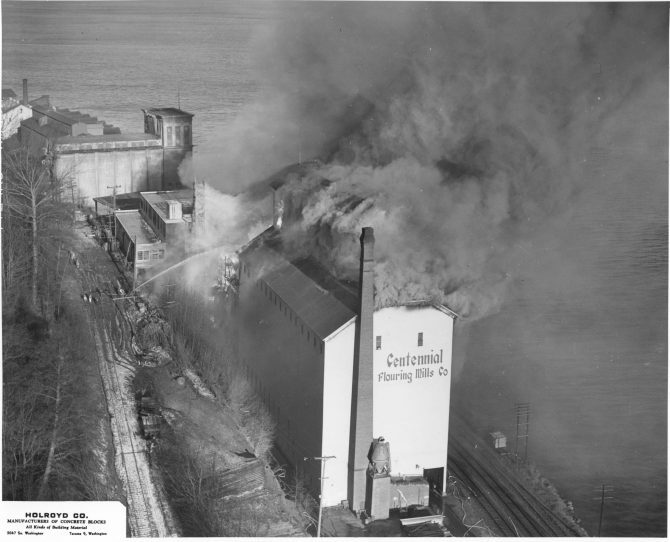 At 7:57 a.m. on the morning of January 30, 1947 a malfunctioning switch at the Centennial Flour Mill ignited flour dust in the building setting the massive structure located on Bayside Drive (now Schuster Parkway) on fire. Fanned by stiff winds, the fire defied the combined efforts of all the Tacoma Fire department units, including the off-shift personnel who had been called in to fight the blaze. The mill was totally destroyed at a loss of $2,400,000. By using the Tacoma fireboat, the fire scow from the shipyard and the Coast Guard fire tug, the firefighters were able to keep the flames from spreading to the Sperry Flour Mill, which was located just north of Centennial. 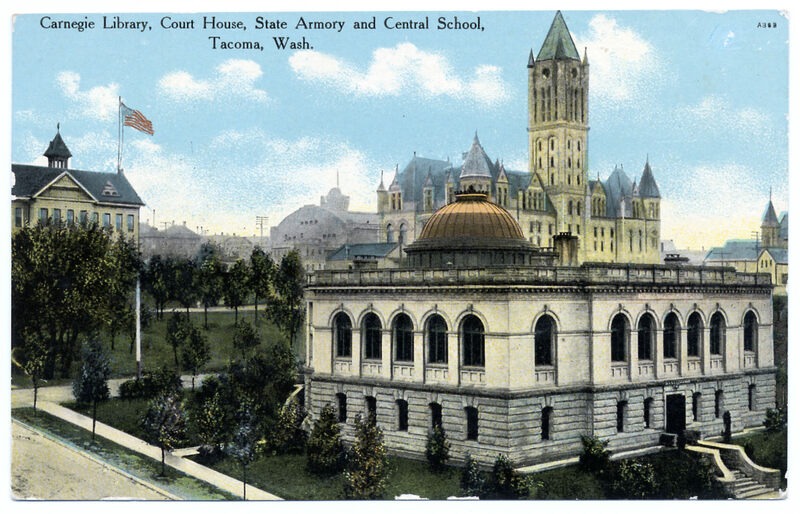 The Centennial Flour Mills Company fire was the first fire in Tacoma history with property damage that exceeded $1,000,000.